To redeem your Emps Credits, login to the game. You'll receive your EC as soon as you're online. If you're already logged in, please allow up to 1 minute until the payment is registered and shipped by the system. Having troubles or got questions? Choose the game launcher appropriate for your Operating System. If you are unsure, download the Java Client. You can automatically reset your account's password if an E-Mail address is registered. If this is not the case, please contact our support via the helpdesk. Your password must contain at least 8 symbols. Moreover, we recommend that you use at least one digit for better security. We would like to thank existing users for bringing new players to Emps-World. Oldschool gameplay with group bosses, duel arena, all skills fully working and a stable economy. Join today and experience excellent server stability with a range of good features for PvPers and skillers alike. We offer challenging gameplay for everybody! Double Experience Weekend: April 5th through 8th! PvP Balancing, Surge Spells and Prayer Improvements! Activity / Kill Log Overhaul and Completionist Cape! Winter Special, New Wings, Gulega and Fixes! 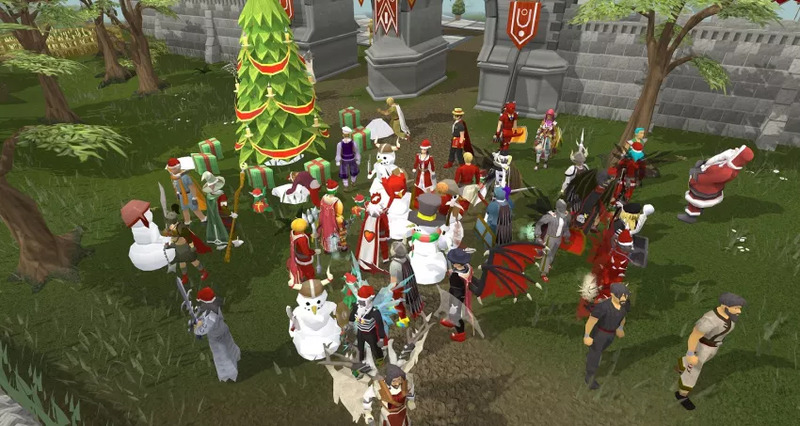 This update contains a collection of changes and fixes as well as re-enabling present deliveries for Christmas. There's also 5 new wings in the donator store and a new high level Slayer monster has appeared in the mage arena (level 50+ wilderness) dropping the Zaryte bow. Halloween's just around the corner and I've also prepared some items fitting the theme! I'm also scheduling the next Double Experience weekend and released some QoL changes. As always also quite a few fixes and engine improvements. Thanks for your reports and feedback!